The West of Ireland is set to become a key telecommunications and data gateway over the coming months with the construction of a new transatlantic fibre optic cable system which will have the capacity to handle up to one third of the world’s telephone calls. 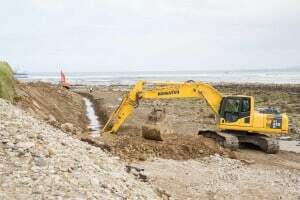 This follows the installation of the Irish portion of the cable in Killala, Co. Mayo – the first time a cable of this type has been connected to the Western region. The $300 million cable is owned and operated by Irish company Aqua Comms and will support global data centres, cloud based networks and content providers. The subsea cable, known as AEConnect, will span 5,475 km from Mayo to Long Island in New York, USA. The construction will be completed by December and it is expected to begin operations from the turn of the year. As well as being the first and only dedicated modern subsea fibre optic cable system running directly from Ireland to the United States, the system will also provide terrestrial connection running from Mayo to Dublin and then across the Irish Sea and on to London and greater Europe. The cable will also include stubbed branching units for other future landings. The connection to Britain and Europe will run via CeltixConnect, an existing subsea cable which is also owned by Aqua Comms. From a technical perspective, the AEConnect cable will have the capacity to cover the entire European and American traffic currently in existence – with the potential to double its capacity within a few years as required. As well as being capable of handling one third of the world’s telephone calls, the initial capacity provides for over 1.6 million ultra high definition video channels running simultaneously or over 32 million 4G wireless callers. It will also have a latency speed of 53.8 milliseconds – providing world class data transfer speeds across the Atlantic. 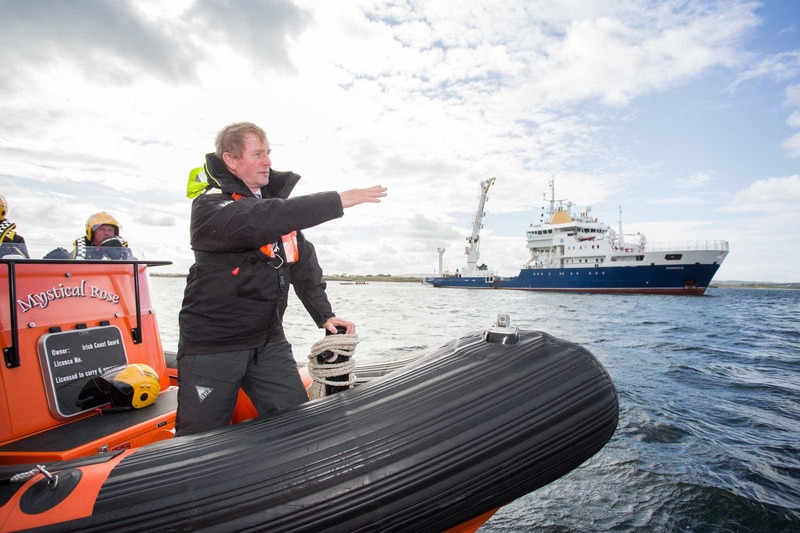 An Taoiseach, Enda Kenny TD, who attended the landing of the cable in Killala, said the cable has the potential to provide new investment to the region. Aqua Comms Chief Financial Officer, Martin Roche also outlined the potential of the project. “We are delighted to be bringing this project to the West of Ireland and to be providing a direct subsea fibre optic cable system connection between this country and the United States. This is the most advanced transatlantic cable system in the world and will provide unprecedented capacity and reliability. The low latency and high reliability of AEConnect supports the bandwidth requirements of data centres, cloud-based networks and global content providers.